We totally understand, some of you have no need or desire for a national presence. In fact, a good portion of you own local mom and pop shops. You favor steady, personalized growth. You want to know all your customers by name, and offer them a unique shopping experience. These customers might be your neighbors, your family, or your friends. With that said, you question whether or not SMS text marketing is really the right solution. Here’s 3 reasons why we say yes. 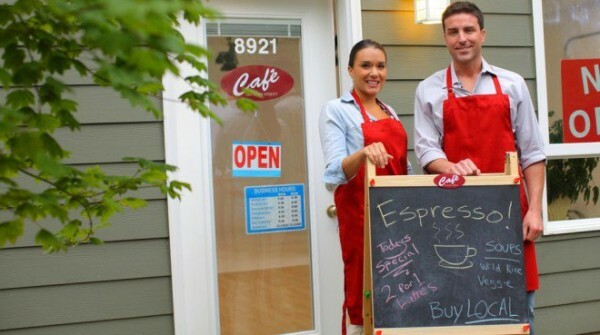 Most local business owners are on a limited budget. We support you in your quest to save, that’s exactly why we offer a free SMS text marketing plan. Don’t squander hundreds of marketing dollars on a method that just doesn’t offer an immediate return. Local business owners favor marketing methods that allow their brand personality to shine through. They want to have a direct say in all campaigns, and make sure each and every customer walks away satisfied. SMS text marketing actually offers options for extreme personalization. For example, you can switch on our awesome birthday feature, and automatically reward each subscriber with a treat on their special day. As a local business owner, you already have the “trust” factor. Some people have a hard time growing their SMS text marketing list because customers are unfamiliar with this marketing method. In fact, some don’t feel comfortable giving away their personal cell number. They’re afraid of being spammed with invasive or unwanted messages. Now, as a local business owner who has constant face to face interaction with customers, you won’t experience this problem. If you’ve built up strong relationships with your regular customers, they trust you and your intentions. With all that said, why not give SMS text marketing a try? Our free plan is perfect for local business owners looking for an effective marketing solution. Give us a call at 1.800.688.6290 to sign up.